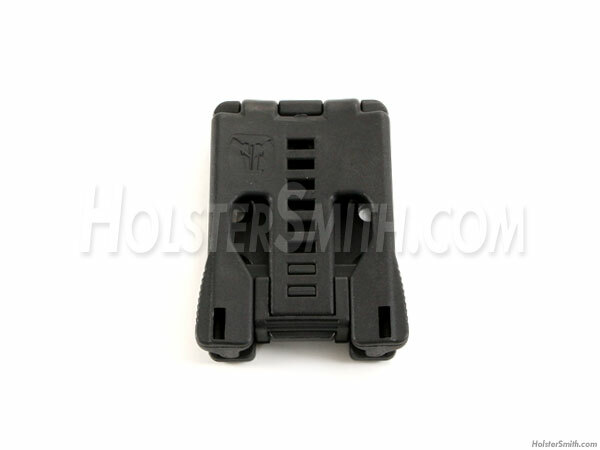 The Tek-Lok™ is an excellent belt loop mounting system that works on KYDEX®, HOLSTEX® and Boltaron® belt sheaths or gun holsters. 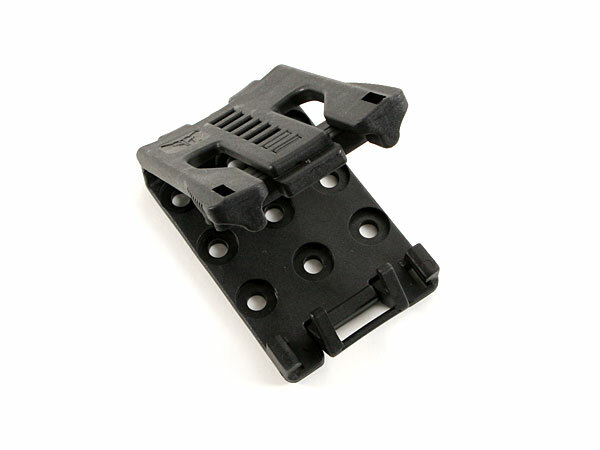 This belt mount has a unique locking system that allows the knife or gun to be carried in the Vertical or Horizontal position on your belt or web gear. 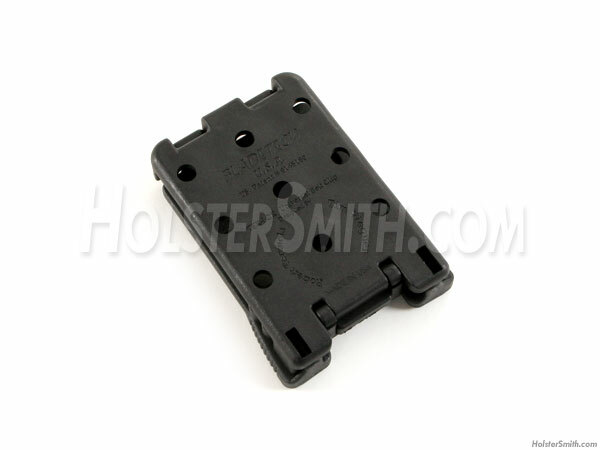 The Tek-Lok™ works like a door swinging closed and snapping into place for a secured carry. The Tek-Lok™ can be unlocked and removed via a specially designed molded pair of friction-grip press handles from its sides. It locks closed with a newly improved, permanent lock-bar design. 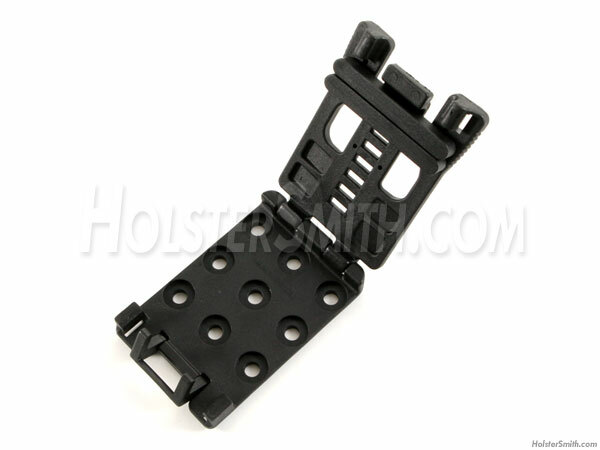 The hole spacing set up for the Tek-Lok™ is 3/4" inch on its centers.